We arrived home yesterday after our wonderful trip to Fort Worth just in time to be counted in Argentina's decadal census, which took place today. Refusing to succumb to jet lag, Kurt made some speedy runs to our neighborhood grocery store, produce vendor, and bakery to replenish provisions: almost all businesses, including grocery stores and restaurants, were ordered shuttered until 8 pm on census day so that everyone in the country could be counted. The penalty for failure to comply: 5,000 Argentine pesos. The order also applied to public transportation, schools, events, just about everything except emergency facilities. For some reason, kiosks catering to the Argentine fondness for sweets also seemed to be immune to the penalty. We woke this morning to a strange silence. No diesel-fume belching buses nor the near constant parade of yellow taxis roared down our street. Linda checked the scene from our dining room balcony: one older lady walking a small black dog. Nada mas. Linda had to attend to the famous rental apartment, so Kurt stayed at home to wait for the censista. A nice young woman named Silvina, one of some 680,000 deployed across the nation, showed up at our apartment about 10:30 with the "short" 35-question version of the census (versus the 67-question list). How many people live in the apartment? What are our names? Where were we born? What level of education did we reach? How recently had we worked or studied? How many rooms in our apartment? They covered the 35 questions in about 4 minutes. As Kurt let Silvina out the front door, she gave him the typical Argentine beso to the cheek. Kurt loves that stuff. In the afternoon, we hooked up with Lorenzo, our pretend dog from across the street, for a reunion walk after our 5-week absence. Usually our "walks" entail heading to a nearby cafe, where the humans have a copita de vino while Lolo chews on a rawhide bone. Alas, nothing was open. Poor Lorenzo was puzzled. We've promised to make it up to him this weekend. 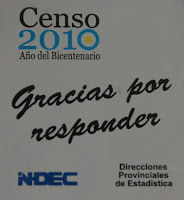 Sadly, Censo 2010 will be remembered for the passing early this morning of former president Nestor Kirchner. Although we have different opinions about his political tactics, we agree on the fact that he and his wife - current president Cristina Fernandez - have done much to bring to justice those guilty of violating the human rights of tens of thousands of people during the "Guerra Sucia" of the 1970s. For the curious: a Q&A on Censo 2010. 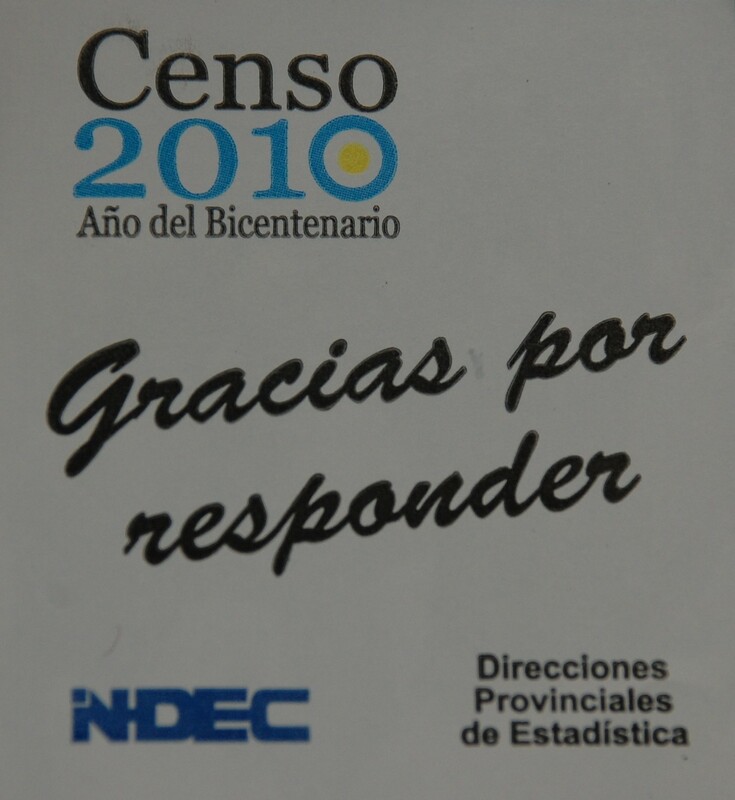 I was also in furnished apartments in Buenos Aires at the time of the census, and a person entered into our apartment and asked some questions about it.